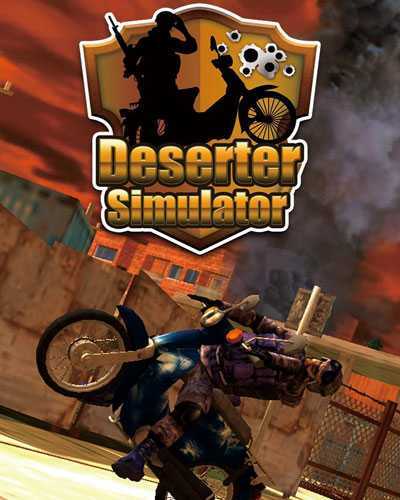 Deserter Simulator is a Racing, Simulation and Action game for PC published by Zoo Corporation in 2015. Choose your motorbike for races. Although there aren’t so many races in the city, You have to get ready for them by training. The players can do acrobatic movements to get high scores. When you chose a motorbike from the garage, It would be the time to enter the tutorial. All of the environments are in the city. So, There will be lots of obstacles like cars in the streets. If you had an accident with any of them, It will be negative scores for you. You have to control the motorbike with the skills that you’ve got before. Control system is so simple to learn. Beginner players can get it within some minutes. But turning into a professional biker will take more than some hours. The more you drive crazy, The best scores will be given. All of the items that you can see in Deserter Simulator’s environments can be damaged by the accidents. That’s why the players have to drive carefully. There are many types of motorbikes that can be purchased in the store. You just have to earn enough scores for them. The model that you have in the garage can be upgraded by the earned scores too. A motorbike without upgrades will be useless in the races. All of the models need improvements to have the best results in races. Deserter Simulator includes some missions too. If you like to get high scores, It’s necessary to finish these missions. If you’re a fan of racing and indie games, Don’t miss this one. 0 Comments ON " Deserter Simulator Free Download "